It was actually the U.S. that fired the first shot in a currency war whose risks investors must mitigate through conservative investments, Janus' Gross warns. “Not even ‘thin gruel’ is being offered to our modern day Oliver Twist investors,” Gross says. 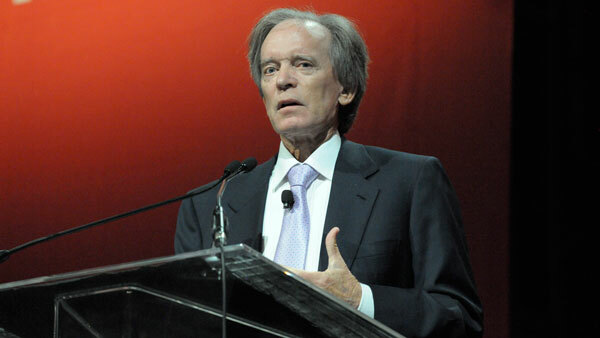 Despite the strength of the U.S. dollar, it was actually the U.S. that fired the first shot in an undeclared currency war whose risks investors need to mitigate through conservative investments, Janus Capital’s Bill Gross warns. Writing in his March investment outlook, the bond manager reaches beyond today’s headlines about the Swiss franc-euro peg back to the Federal Reserve’s near-zero rate reduction immediately following the Great Recession six years ago. That rate cut effectively devalued the dollar by 15%, a move that Gross says, in a novel explanation “seldom” addressed by other analysts, is the reason the U.S. has led the world in global growth since the financial crisis. Likening the current period to that of the competitive currency devaluations of the 1930s, when the countries first to abandon the gold standard were the first to escape the clutches of the Great Depression, Gross says the Fed’s 2008-2009 policies gained the U.S. a first-mover advantage in global trade. But the U.S. must today compete against “currencies with their own QE’s and promises to hold interest rates lower and longer than the U.S.,” such as Japan, whose own QE program, he says, is 2 to 3 times greater in relative GDP terms. Competing with America’s zero rates has introduced global investors to a previously unimagined world of negative rates; the value of negative-yielding notes and bonds in the eurozone already total close to $2 trillion. The novelty of this situation is such that “no textbook or central bank research paper even mentioned” negative interest rates prior to last year. Gross cites as an example former Fed Chairman Ben Bernanke’s famous 2002 paper on deflation, which mentions dropping money out of helicopters to ward off the threat of deflation but makes no mention of the possibility of negative rates. While countries lower rates to make exports more competitive or sovereign debt more tolerable, Gross summons common sense to refute the notion that the global economy, acting in near unison, can devalue against itself. That implies that the hoped-for advantages of currency devaluation will fail to materialize, as has happened over the two-plus years with Japan’s Abenomics experience, or global growth will peter out as a result of the dollar’s relative strength. But Gross raises what he regards as an even bigger problem with today’s negative rates — namely, the ravishing effect they have on existing financial business models. Pension funds and insurance companies, for example, have always sought to match their liabilities with similar duration investments at higher yields. “With 10-year German Bonds at 30 basis points and the possibility of them going negative after the beginning of the ECB’s QE in March, what German, Dutch or French insurance company would attempt to immunize liabilities at the zero bound or lower?” asks Gross. This same perverse condition also affects households, who must save ever more to compensate for zero or negative rates in order to pay for future college, medical or retirement liabilities. That means consumers will spend less as they save more, thus squelching economic growth. Alternatively, savers channel their funds into higher-risk investments, fueling asset bubbles, while corporations unable to resist such low rates sell bonds (thus accumulating debt) and buy back stock, increasing the vulnerability of the financial system.